Few people–even those who, like our family, try to keep Jesus at the center of our Christmas celebrations–spend much time reflecting on the most troubling part of the biblical narrative of Christ’s birth. I’ve not yet encountered a crèche that included a King Herod figurine. We tend to conclude our Christmas pageants with the three Magi bowing down before Jesus. The curtain comes down, and we all go home to open gifts and enjoy a meal. But that’s not the end of the story. According to the Gospel of Matthew, as soon as the Magi leave to return to their country, Joseph is warned in a dream that the tyrannical King Herod would shortly begin a genocide of little boys in Bethlehem. Joseph got up in the middle of the night and escaped to Egypt with Mary and the newborn Jesus, out of Herod’s reach. While mystical stars, shepherds and angels have little to do with our day-to-day lives, this part of the story is painfully pertinent to our headlines today. Jesus was a child refugee, part of a family that fled a credible fear of persecution by seeking asylum in a foreign land. As children and their parents have arrived at the U.S.-Mexico border in recent months with similar stories, many fleeing gang violence in Central America, how could followers of Jesus not respond with compassion? According to Paula White, our response should be to double down on tough immigration policies. Why? Because, according to her, Jesus’ situation was fundamentally different than families arriving at the border today. “He did live in Egypt… but it was not illegal,” said White to CBN. And then, much to the chagrin of many theologians, she went further: “If he had broke the law then he would have been sinful and he would not have been our Messiah." It’s a tidy argument–but it just doesn’t work with the rest of the biblical witness. Various biblical examples of civil disobedience quickly make any such claim untenable. The Hebrew midwives are praised for defying the murderous decree of Pharaoh, who like Herod, ordered that Israelite infants be slaughtered. Shadrach, Meshach and Abednego refuse to worship an idol. The Apostle Paul, whose instruction to “be subject to the governing authorities” is sometimes cited as a basis for total obedience to civil laws, spent time in jail, having violated unjust laws. The Apostle Peter, when charged to stop preaching the gospel, insisted that “we must obey God rather than human beings”–an attitude that led to his incarceration and martyrdom. Most importantly, though, Jesus himself was repeatedly criticized for lawlessness. On one occasion, he healed a man born with a shriveled hand, infuriating the Jewish religious leaders who saw this as defying the Ten Commandments by breaking the Sabbath. It is one of few incidents in the gospels when Jesus is described as becoming angry, distressed by these leaders’ hardheartedness, putting their interpretation of the law ahead of compassion for the human suffering in front of them. When Jesus later acknowledged that he was king (albeit, of a kingdom “not of this world”), he was challenging Roman law, which acknowledged no ultimate authority but Caesar. Christ was condemned by the state as a criminal and executed—but this act of love and compassion was certainly not a sin. It was the sacrifice that Christians believe saved us from our sins and what compels us to extend grace to others. Of course, not all will qualify. Some, even those with heartbreaking stories, may not meet the precise definition of a refugee under U.S. law. But we can still treat all with dignity, not separating families, nor—except in the rare case that there is a compelling reason to believe they could pose a public safety risk—detaining them. Churches, non-profit organizations and the extended families of these asylum-seekers are eager to help support them while they wait for their day in court. What’s more, such alternatives have been proven effective—not to mention significantly more affordable—in ensuring people show up for their hearings as required. I don’t know whether Jesus’ flight to Egypt was lawful or not. But I know that if my daughter’s life was at risk—whether from a “mean king” or MS-13—I’d flee. Her life is far more precious than my respect for man-made laws. And I’d pray, when I reached the other side of the border, to be met by compassion. 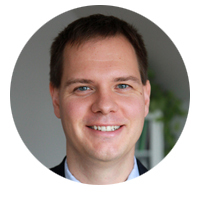 Matthew Soerens serves as the U.S. Director of Church Mobilization for World Relief and is the coauthor of Welcoming the Stranger: Justice, Compassion and Truth in the Immigration Debate (InterVarsity Press, 2018). Follow Matthew on Twitter.